Before we start installing ATG's Commerce Reference Store, there are some pre-requisites which we must take into account before the installation. Please read this guide very carefully, and make sure you install exact versions of the software listed ahead. Please read the terms and conditions of the software before installing. Some steps might look obvious, but might have slight changes, so follow them carefully. Download and install the Java Version 1.7.0 version 79, and install it in any of the root drive, and not in program files. Set the following environment variables. If you do not know how to set environment variables, please google it. Every windows version might have slight different process to set them. Next you have to install Weblogic Version 12.1.2.0.0. Please read the terms and conditions before downloading/installing. Weblogic can be downloaded from edelivery.oracle.com. b. Create an environment variable ORACLE_HOME and set the value to the above folder. d. Press enter. It should print D:\Oracle. If not, re-check your environment variable and restart the system. e. Extract/Copy the Weblogic JAR file into this folder (D:\Oracle). f. Wait for the installer to extract. A GUI will appear after some time. g. Press Next -> Next, and Installer will ask for Oracle Home. Set the Oracle home to D:\Oracle\Middleware. Press Next. h. Installation Type -> Weblogic Server (this is pre-selected). Proceed with the steps. i. For Security Updates, select "i wish to remain uninformed...". Press Next/Continue. j. Press Install when in appears. Wait for the installation to complete. h. A configuration Wizard will start automatically. i. Select "Create new domain", and set the location to "D:\Oracle\Middleware\domains\atg11". Press Next -> Next. j. User username and password, set name as "weblogic" and password as "Welcome1". h. Make sure domain mode is "Development" and correct JDK is shown in next step. If not, set the correct JDK. Press Next. i. Check on "Administration Server". Press Next -> Next -> Create. j. It will start the configuration. Let it complete and proceed with other steps. k. Once the process completes, you can remove the Weblogic JAR file from D:\Oracle if you wish. To test if the configuration was successful, goto D:\Oracle\Middleware\domains\atg11 and double click on "startWebLogic.cmd". 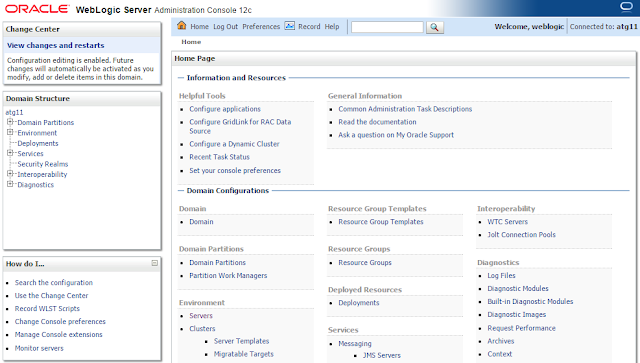 A cmd window will open and will start the weblogic admin server. If the last line appears as "Server state changed to RUNNING". This means the server has started. b. Wait for a few seconds, for weblogic admin application to deploy. c. A screen asking for username and password appears. Type weblogic and Welcome1 as username and password respectively. For Endeca, Guided Search and Experience Manager should be installed. Guided Search include MDEX, Platform Services, Endeca Workbench, Presentation API. Download these installers from edelivery.oracle.com. Read terms and conditions carefully before download and installation. b. 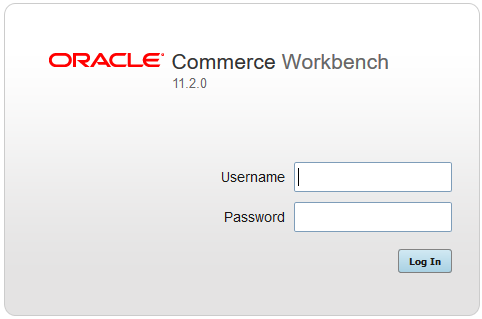 Start the installation of Oracle Commerce Platform Services(Version 11.0). Proceed through the steps and when asked for Username, Password, fill in your SYSTEM's username and password. If your system does not have a password, please create one. d. Next, install Oracle Commerce Tools and Frameworks with Guided Search. Do a Minimal Installation, and change the default install path to D:\Endeca\ToolsAndFrameworks. For credentials set admin/admin. h. Go to the Tools and Frameworks Directory\server\bin. You should see the following screen. Put admin/admin as username and password. Once logged in, you should see the following screen. If you can see this screen, Endeca is installed successfully. You can choose any database that you wish. In this guide, we will use MySQL (v5.7.1.6) database. Configure the root username and password as root/root. Leave the default port to 3306. Once this is done and installation completes, follow the below steps. g. To test this, try logging in as 'atg' user. Use the above command and replace 'root' by 'atg'. If login is successful, your user is successfully created. h. Now, again login as root user. i. 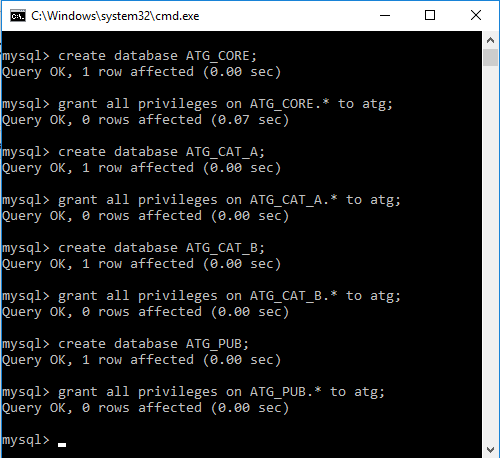 Create 4 ATG schemas: ATG_CORE, ATG_CAT_A, ATG_CAT_B and ATG_PUB, and grant all privileges for these schemas to atg user created above. See below screenshot. This should display the 4 schemas you created above. See below screenshot. With this your basic environment configuration for ATG is done. Let us move on and install ATG. Hi just wanted to check instead of using mysql separately ..can we just configure the demo one provided with ATG installers. Yes, that can be configured. Can you please tell me why we need Endeca ? 1. Anything you search on the website, is a hit to endeca, which returns the result. This is why you need to install Endeca. Can you pls tell me whether these software are free of cost?? For development use on your machine, there are no charges. For production use, there is a cost, for which you can contact oracle. 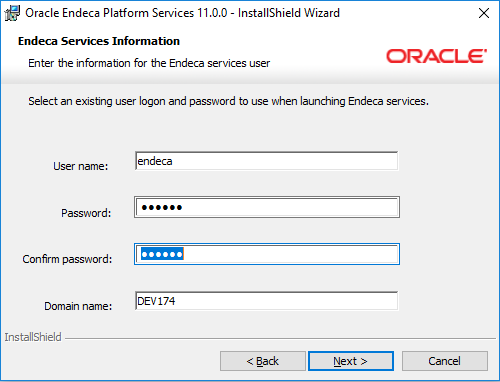 Can we do CRS installation and setup without Endeca Installation ? No. A lot of things won't work.